Club Penguin Cheats by Mimo777 Club Penguin Cheats by Mimo777: Gary Needs Help With "Personal Matter!" 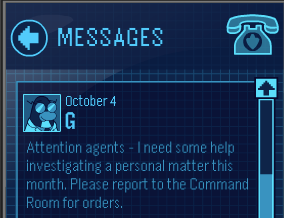 Ok, G, you know we love you, but is it really the EPF's responsibility to help you with a "personal matter?" Who's with me on this? Give us a real mission, huh? When the personal matter is an Uncle who let a bunch of ghosts loose, I'm all for helping. "fixing a burger grill so we can all have veggie burgers" as those ones are the lamest of lame!